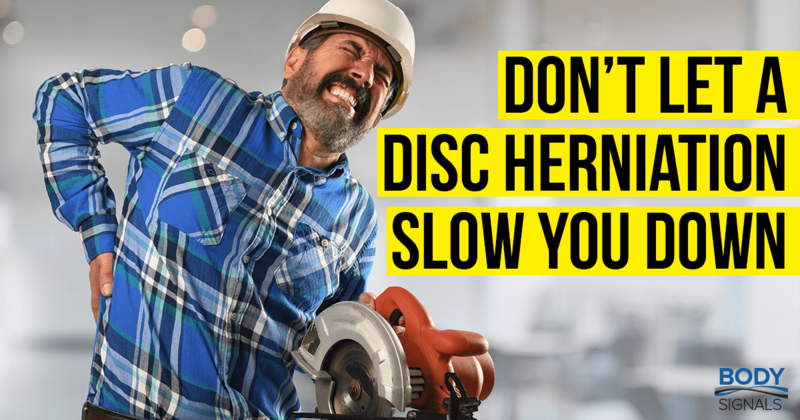 Disc bulging (and herniations) are a natural part of the aging process. Yes, that’s right. As gravity pulls you down, you continue to age, and injuries catch up to you – your body starts to wear down, and degenerative processes begin. As a matter of fact, degeneration of the spine often begins before you are even 30 years old! If you have had an MRI of your spine, you may have hit the floor when looking at the report. It can be scary when you see multiple levels of your spine have disc bulges, degenerative changes, and herniations. Well, don’t worry – just because various levels of your spine are not perfect, it doesn’t mean that they’re all causing pain, and research shows us that you are in the right place! The truth is, you can have disc bulges and herniations that don’t cause pain. Our job is to perform a careful examination and determine which, if any, of your discs, are causing pain, numbness, or weakness. If you’re suffering from a disc bulge or herniation that is causing pain, adjustments may be just what the doctor ordered. Over 90% of patients with disc herniations reported being better or much better following Chiropractic care. Within the first two weeks of receiving adjustments, over 55% of patients reported significant improvement. Sharing is one of the best ways to show you care for your friends and family. Take this research and share it with a friend or family member who recently had an MRI of their spine. They may be scared and unsure of what to do next. However, once they are able to understand their condition, and that conservative care is their best option, they will be able to make a smart decision about their health!